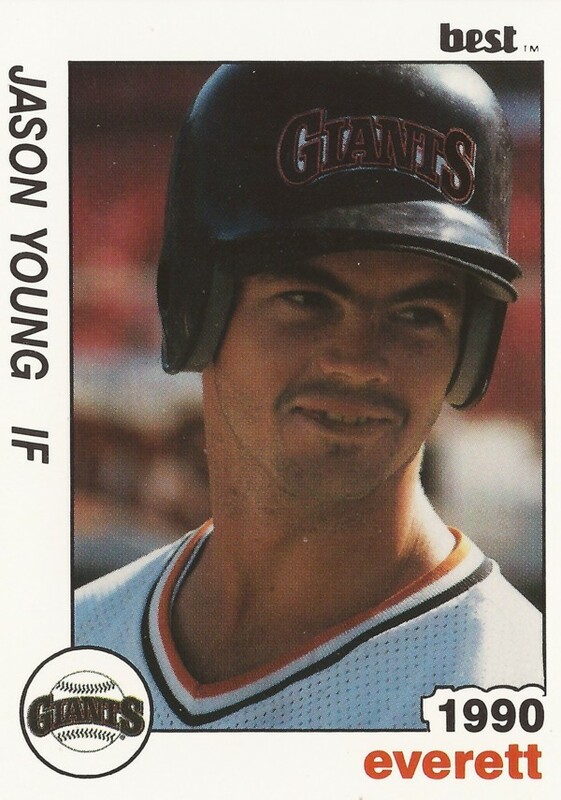 Orange Coast College seemed to be a renewed emphasis on stolen bases, The Los Angeles Times noted in late-March 1989, and at the center was Orange Coast's Jason Young. The team as a whole stole 44 bases in 26 games. Young had eight of those, and he hadn't been caught once, The Times wrote. For Young, his efforts at Orange Coast was enough for him to get noticed by the Giants, signed by the team that year as an undrafted free agent. But Young's efforts weren't enough for him to make the majors, his career ending after just three seasons as a pro. At Orange Coast, Young did more than steal bases.In March 1988, Young went 2 for 4 in a game, scoring three runs. He then picked up four hits in a March 1989 contest. With the Giants, Young started at short-season Everett, hitting .246 in 36 games. He also stole just one base. For 1990, Young got into 50 games between Everett and single-A Clinton. He started the season quickly, hitting .289 for Everett, earning his promotion to Clinton. At Clinton, Young ended up hitting .252 in 37 games, stealing seven. Young returned to Clinton for 1991, getting into 93 games on the season. But he hit just .235, stealing eight. It was the last season of his professional career.